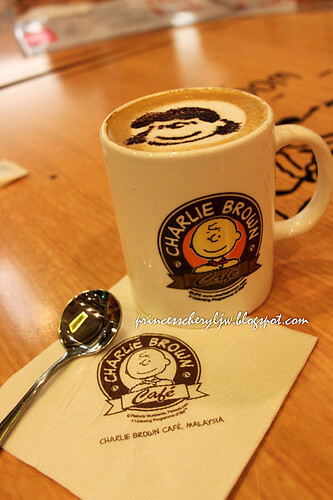 I know that Charlie Brown Cafe （查里布朗咖啡馆）has become a hot topic in the town now. 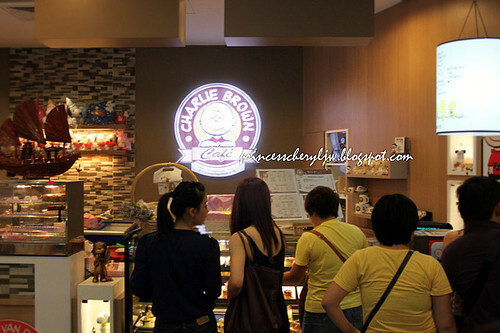 Located at Straits Quay, this outlet is the first of Charlie Brown Cafe in Malaysia. 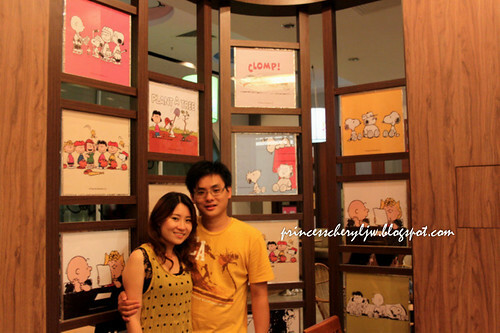 Surprisingly they open the first Peanuts theme cafe in Penang but not in KL. The other outlets that I know are location in Hong Kong, Korea, Singapore and China. 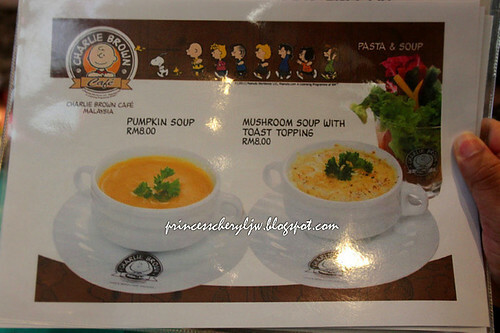 From the web and forums, I heard praises and grumbles from those who had visited.. but I swore to myself that I MUST publish a review on this cafe because I'm a big fan of Peanuts gang! 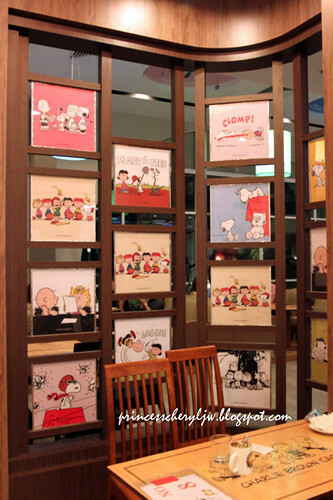 I've been reading the comic strips of the Peanuts by Charles M. Schulz since 5 years old! 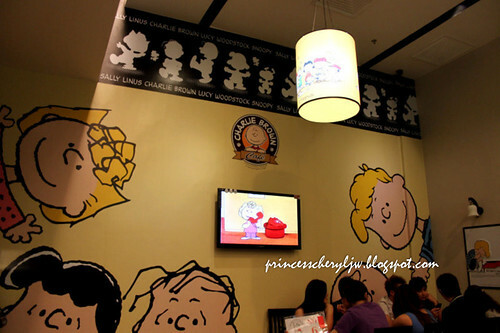 Way too long huh... Dad bought me a cartoon video tape entitled "A Boy Named Charlie Brown" (the 80's babies watch video tapes in childhood days) and since that day on I was so in love with the Peanuts. 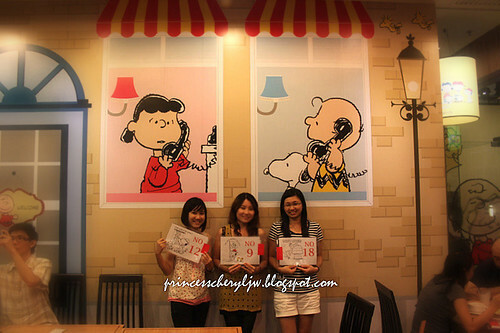 When I was in Charlie Brown Cafe, I actually heard quite some people asking their friends, "Who is Charlie Brown?" 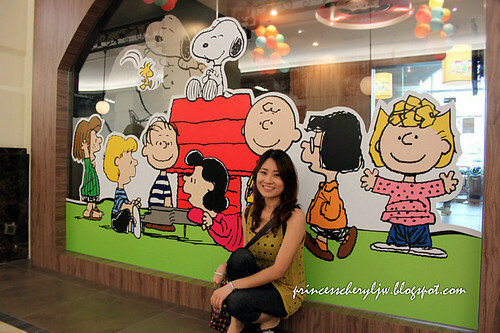 I bet almost everyone knows Snoopy, and perhaps now you know that Snoopy's owner is Charlie Brown, but aren't you interested to know more about the Peanuts gang? 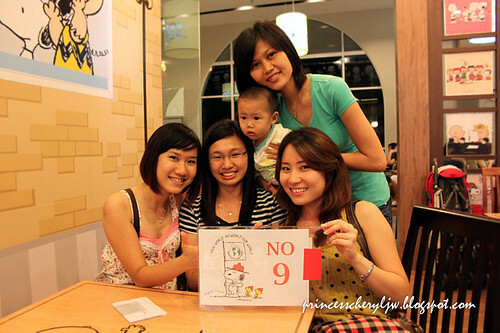 If you know them well, you'd probably forget on how long the queue would be. When you're visiting a theme cafe, you should be prepared for the queue especially it's only the first or second week after their opening. 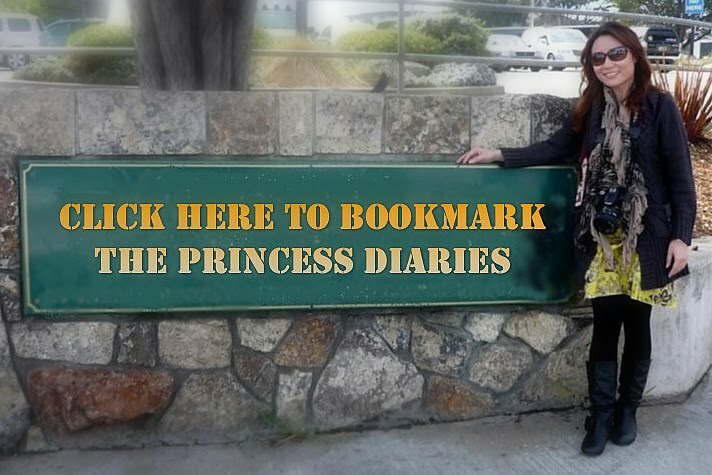 The price that worth it is the environment and the stories behind the characters. 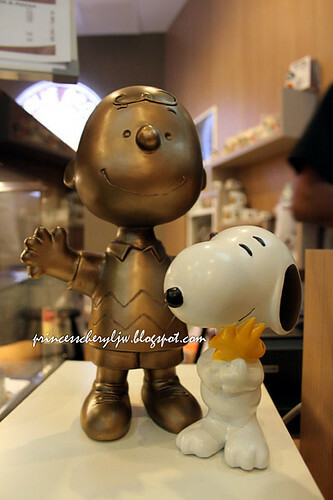 My childhood favorite cartoon characters - Snoopy and Charlie Brown. 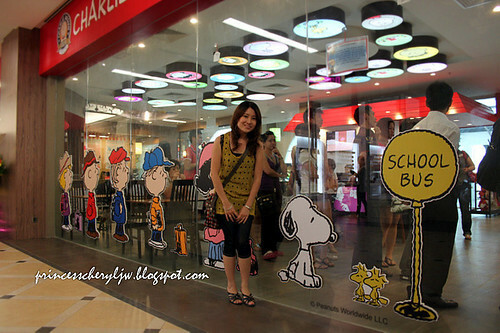 I decided to write a little longer for this post because I get excited when I start talking about my favorite stuffs, for instance, Snoopy of course! 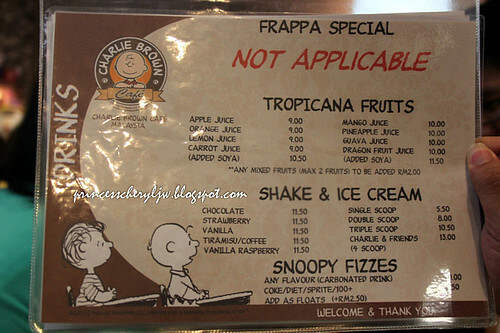 Well, let me do a concise summary on the Peanuts gang characters so that if you do not know them before this, and if you happen to read my post while looking for reviews on Charlie Brown Cafe before visiting, you'll thank me for telling you more about Charlie Brown and his friends as you'll be more overwhelmed by the environment while you're there. 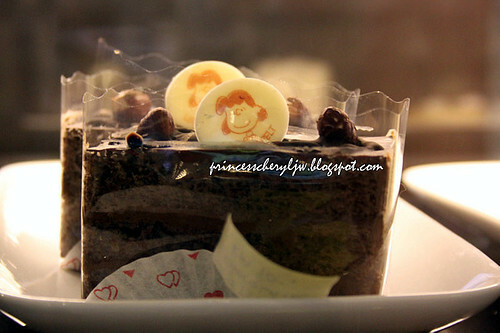 I wish you will 'heart' this article of mine. The queue. Almost at anytime. 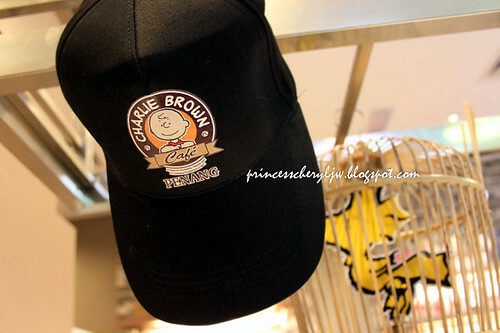 So who is Charlie Brown? 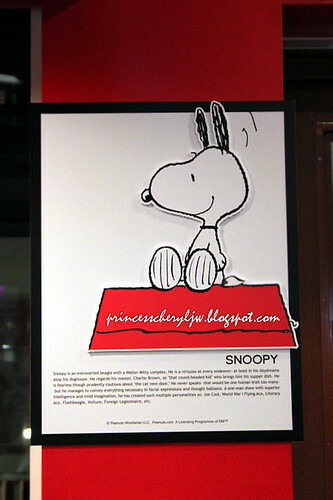 Snoopy's doghouse was something extraordinary. It defied physics, being dramatically larger on the inside than the outside, with a carpeted foyer, a den, a library, a guest room, a stairway, a basement, a television, a bed (although he sleeps on the roof), a pool table, and an original Van Gogh. 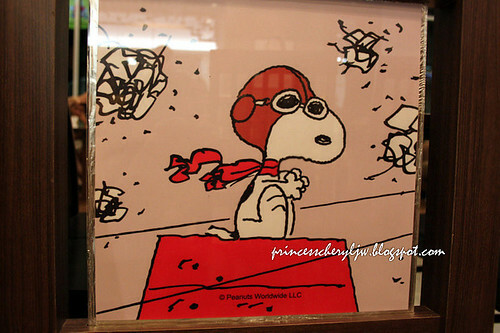 The doghouse also serves as a prop for Snoopy, often imagined as a World War I "Sopwith Camel" fighter plane in Snoopy's battles with the Red Baron. During these aerial fights, Snoopy's house often suffers from bullet holes and occasionally crashes. However, this seems to take place solely in Snoopy's imagination, as the house is in perfect shape later. You will also find a yellow bird in the comic strips, sometimes a flock, but Woodstock is the only bird that attaches himself to Snoopy. The rest of the look alike's are Woodstock's friends. In the early 60s, many migrating birds started using Snoopy's doghouse for various purposes: a rest stop during migrations, a nesting site, or a place to play cards. They simply looked at Snoopy and he understood them. 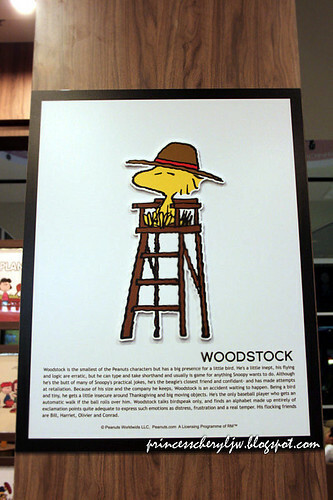 Woodstock was the only one that assumed the role of Snoopy's sidekick and assistant. He's Snoopy's best friend. 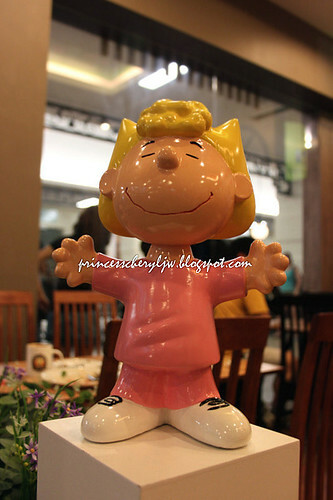 Linus, the best friend of Charlie Brown, also the younger brother of Lucy van Pelt and older brother of Rerun van Pelt. You might wonder why Linus always drag along a blue blanket whenever and wherever he appears, that's actually his "security blanket". He holds the blanket over his shoulder while sucking his thumb. He suffered weakness and dizziness, for example, when Lucy took it from him only long enough to have it laundered, spontaneously recovering when it was restored to him. 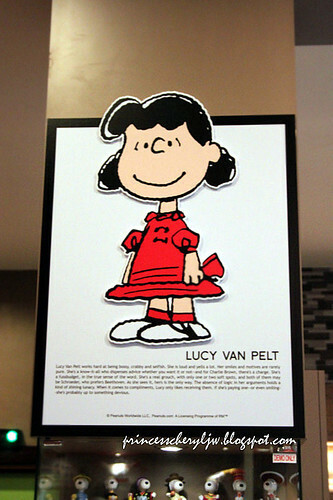 Lucy won a first prize in a school science contest when she took Linus blanket away and recorded his "withdrawal symptoms"-and as proof entered Linus and his blanket as a exhibit! A common thing for Snoopy is to run up and quickly grab the blanket in his mouth and drag Linus along with it, then swing him and the blanket around many times before letting go and sending them both soaring off to who-knows-where. Now Lucy. She is the main bully and the older sister of Linus and Rerun. 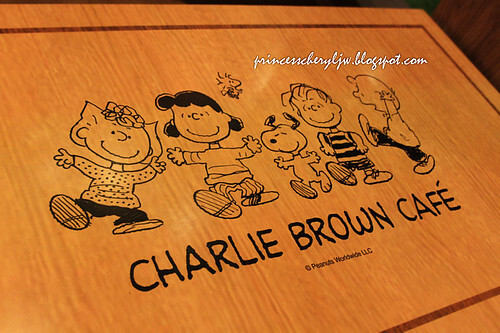 A bossy, crabby and selfish eight-year old girl, Lucy often bullies the other characters in the strip, particularly her own brother Linus and Charlie Brown. 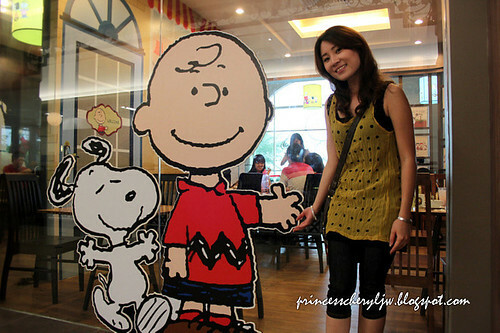 But I always think Charlie Brown has some crush on her while Charlie Brown's younger sister Sally has love interest on Linus. 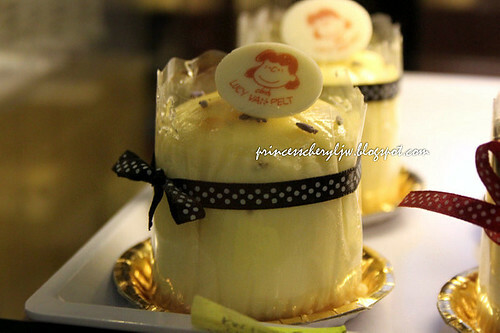 Charlie's younger sister, Sally Brown has blonde hair with a curly fringe. She wears pigtails, pink or blue polka dotted dresses with matching colored socks and she also wears white shoes with black laces. She can be stubborn at times, and is usually convinced she's right until someone proves her wrong, but she also has a good heart and a strong moral sense, just like her brother. 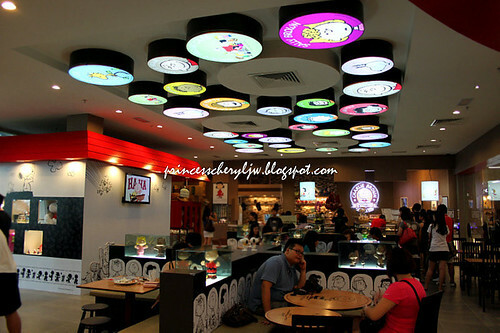 You won't believe how beautiful the ceilings are decorated. 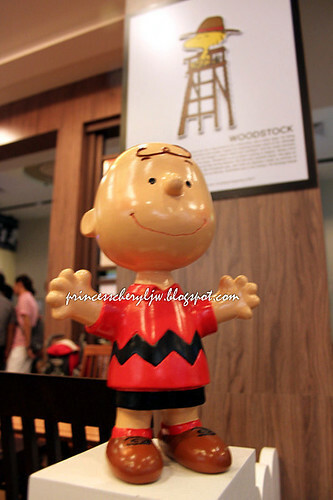 Peanuts gang on the move!! The counter to place your order. 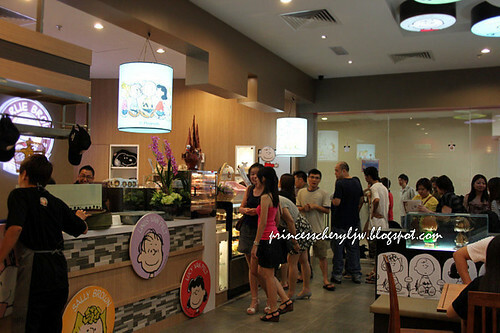 From outside of the shop through the window, you can see the long queue waiting for order. But I like the effect of the whole setting on the window. 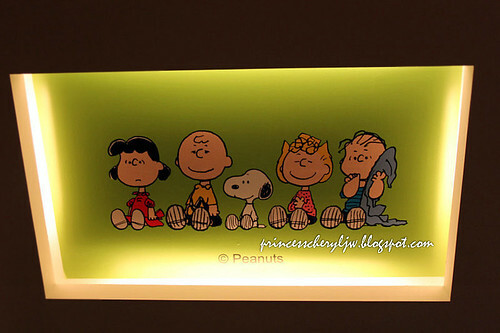 Now it seems like everyone is queuing together with the Peanuts gang at the bus stop. 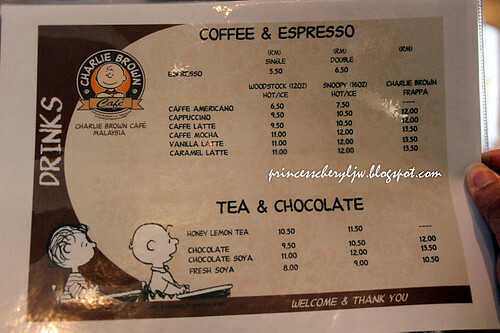 Here's the menu~ Now you can have an idea of how much budget you need to allocate for a tea break. I didn't manage to find the price list for main meal. The kitchen had closed when we reached. 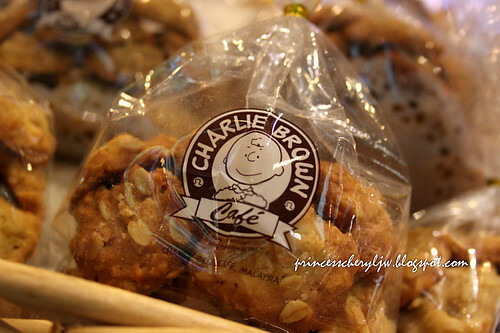 They also have Charlie Brown cookies for take away. 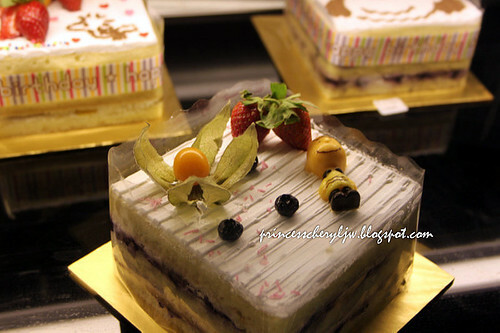 And plenty of cakes to choose from! All looks delicious. 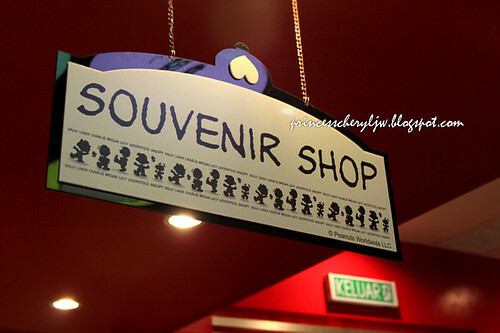 Souvenir shop beside the kitchen area. Overlooking the marina. Luckily I manage to control my shopping desire. The table. It's worth to pay for the coffee + environment. At least to us, we think so. 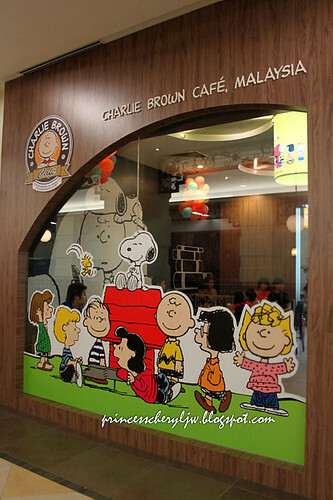 One of the seating area is showing the Peanuts cartoon. Oh I miss the stories.. I haven't been watching for such a long time... It's time to start searching and buy the cartoon specials collections. The waiting cards are all different. Each number a picture or comic strip. So remember to make a visit soon! 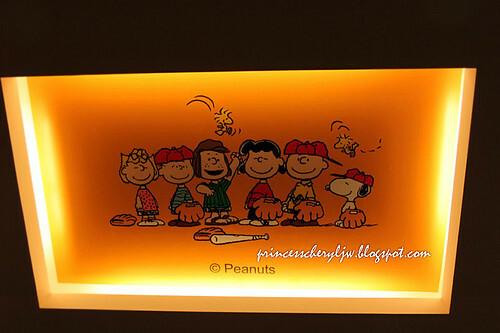 If you're interested to know more about the characters of Peanuts gang, just click on the links below. 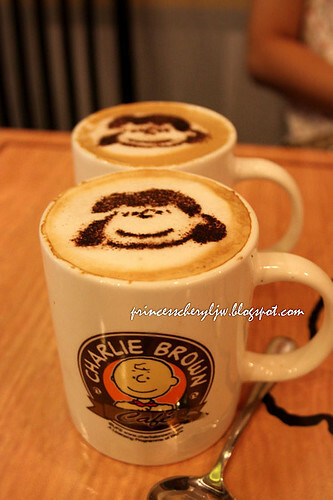 Frieda: the girl with "naturally curly hair"
PEANUTS GANG FANS OUT THERE, PLEASE FEEL FREE TO DROP A MESSAGE HERE, I'LL BE MORE THAN HAPPY TO HAVE A FANS GATHERING TOGETHER AT CHARLIE BROWN CAFE, IF WE COULD ORGANIZE ONE?? 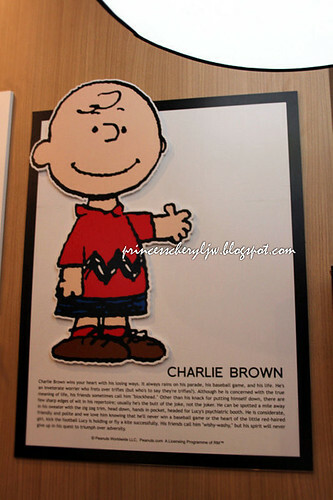 Check out my Charlie Brown review too. I like the photos you posted. 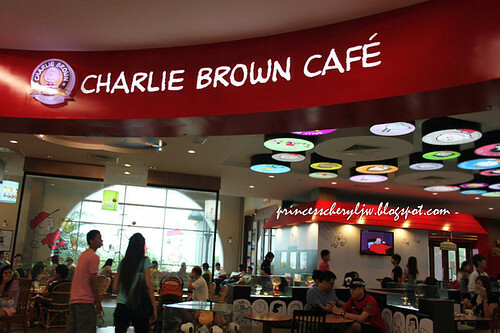 Nice and creative ambience at Charlie Brown Cafe. 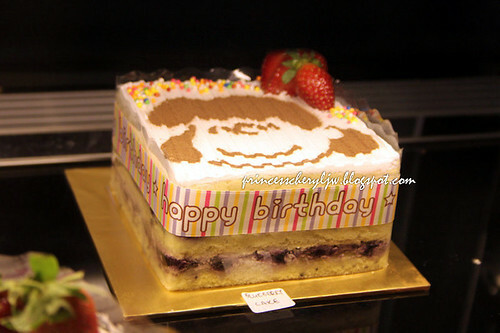 Cakes and drinks are pricy. Other food just so so. nice description on the characteristics... 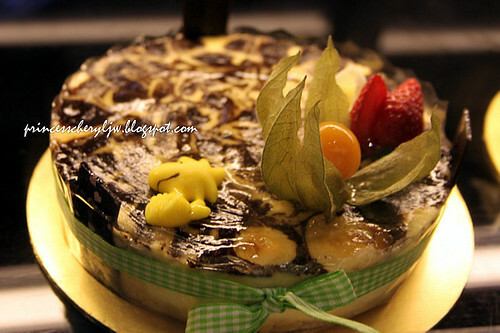 But the food and beverage are little too pricey..